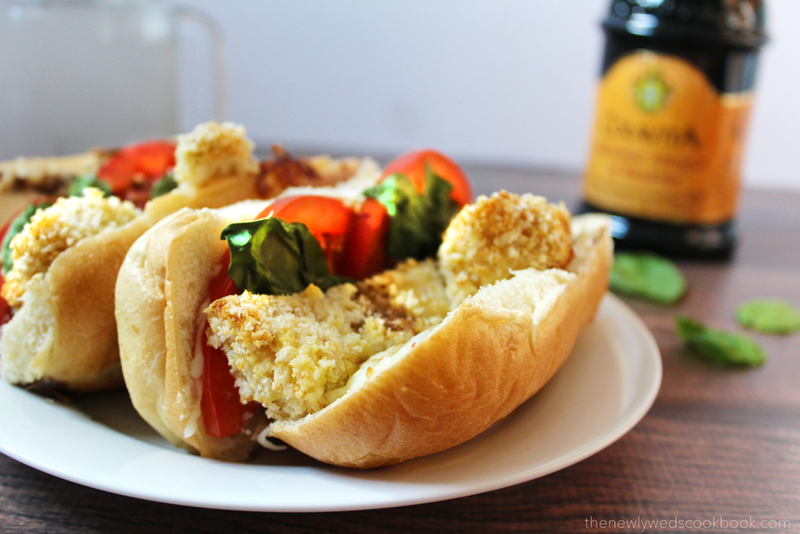 Tonight’s chicken caprese sub was the perfect combination of flavor, texture, and freshness! And before any carb-cutters get scared away by the word “sub” – this recipe can be enjoyed sans-bread! While it was a bit hot to have the oven on tonight, it was well worth it because this sub was irreplaceable. We used my all-time favorite chicken recipe – baked chicken bites, although tonight they were more like baked chicken tenders because we made them into strips to fit the sub. If you haven’t had the opportunity to make these yet, now is your chance to redeem yourself. They are phenomenal. Find the recipe HERE. So, once the chicken is made, we layer our subs with fresh tomato, fresh basil, and mozzarella. Here’s where I cheaped out a bit – what I should have done was buy a block of fresh mozzarella, but it was somewhere around $5.00, and I wasn’t in the mood to dish out that kind of money. I settled for a bag of shredded mozzarella. But hey, it was still fabulously delicious. 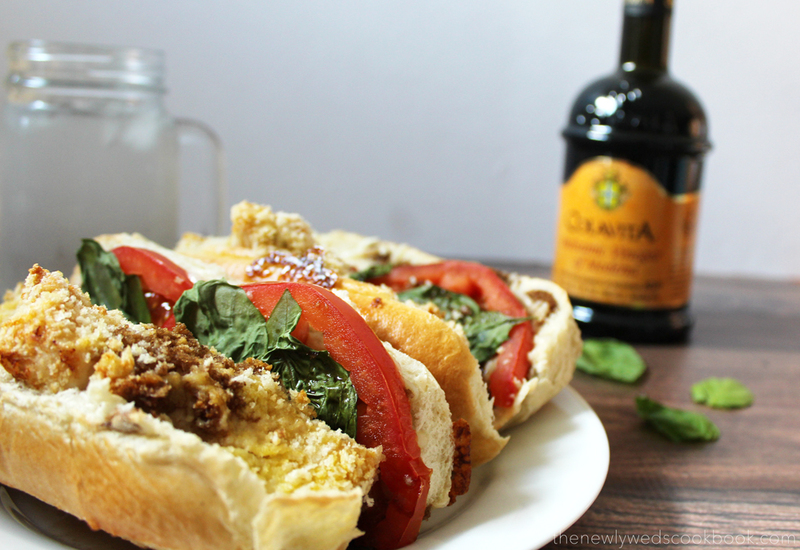 This chicken caprese sub screams summer sub/grinder/sandwich/hoagie, etc…whatever you like to call your sandwiches! mozzarella cheese, fresh would be best, but if you want to use shredded- that works too! 2. Pre-heat the oven to 350 (it should still be on from your chicken). 3. 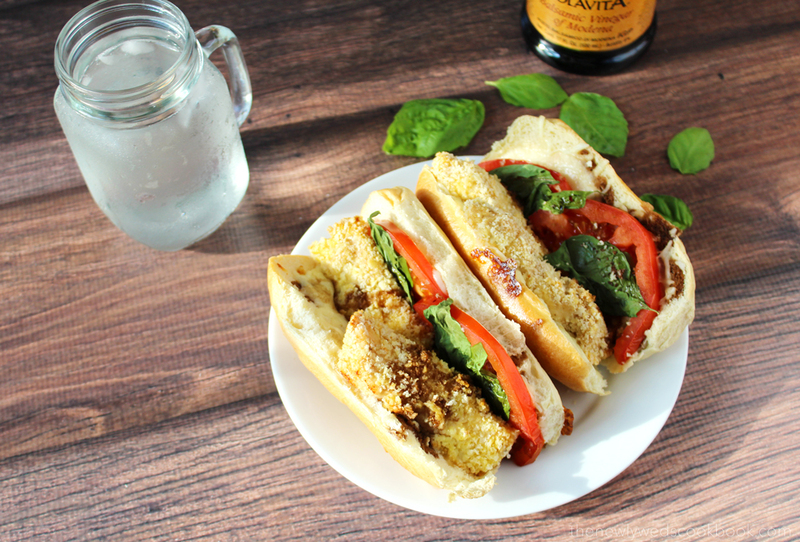 Load up your sub with two chicken strips, tomato slices, basil, and mozzarella. 4. Stick in the oven for 8-10 minutes. 5. 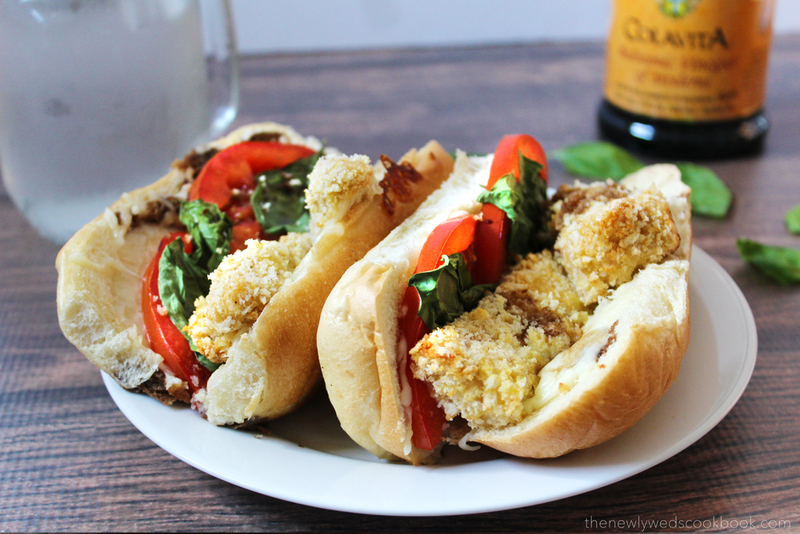 Take it out, drizzle with some balsamic vinegar.